Not only are we required to engage with the world in order to assimilate spiritual realisations, we are also given the motivation to do so. This motivation takes the form of the artist's yearning to make real what arises in imagination. It feels compelling, there is an urgency to grasp what has slipped into the conscious mind, and yet could so easily slip away, back into the ocean of unconsciousness from which it arose like a mermaid. 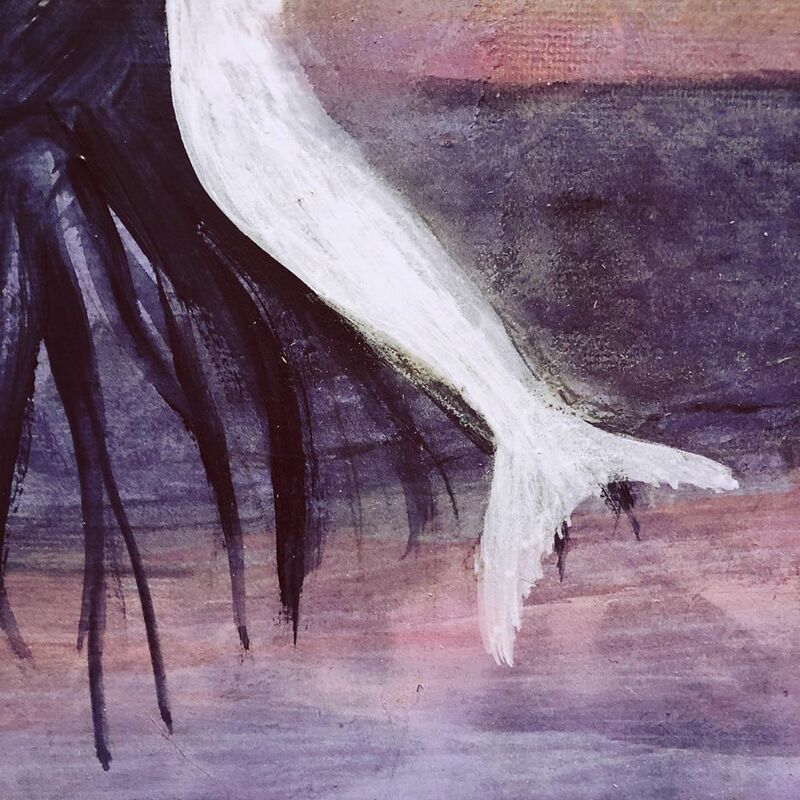 The mermaid is a picture of uncompromising, artless, innocence and eagerness. Like her, at core each of us is utterly unsullied; in consequence, we must reject everything inauthentic in our lives since it would tend to corrupt our elemental integrity of being. In the end, self-fulfilment is all there is of real value – so we seek full participation in life to explore and express every facet of our character. Composed of pure spirit, whose essence-nature is fiery freedom, the soul is constantly renewing itself in a perpetual birthing process. This shines through as the light of naive enthusiasm for life – a keenness for new experiences. Without this renewal, there could never be fullness of self. To be completely who we are, we need to launch ourselves wholeheartedly into whatever transpires, following our instincts and trusting them to guide us true. Importunity – pressing our position – is a natural result of this approach to life. We know what we want, we want it now – and if that’s not convenient for others, then let them press back! Such an appetite is evidence of desire, and desire is the quintessence of the life force; it is always good. However, acting upon appetite may not always be mindful and can sometimes upset the balance in how we relate to others. Discrimination is advised if we are to minimise the awkwardness that comes after too large a degree of insensitivity. That said, a mermaid is a joyful force of Nature simply because she trusts her feelings and acts upon them unceremoniously; she brings a sparkle to life just by being what she is.